NewmarketGAA.com has teamed up with Galway based Irish company locallotto.ie to now make it possible to enter the Lotto over the internet. 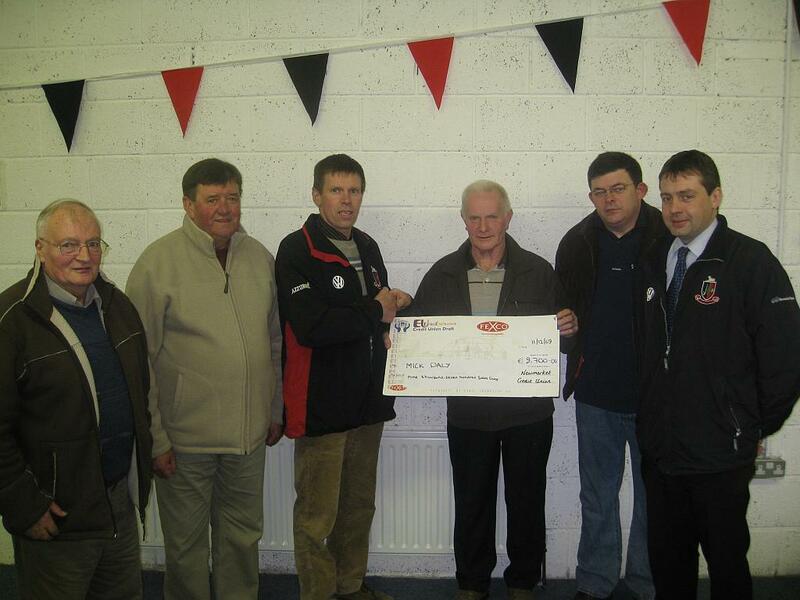 To support the Club and maybe win some money, get out your credit card, laser card or cheque book and visit the Newmarket GAA page on locallotto.ie. 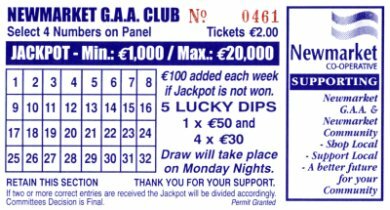 The Newmarket GAA lotto tickets can be bought from any of the following outlets: Scanlon’s Bar, Hourigan’s Bar High Street, Keeffe’s Fuit + Veg Shop, T.D’s Bar, The Rock Bar, Joan Hourigan’s Bar, Scully’s, Kerry Co-op Shop, Mary Sheehan’s Chemist, Shreelawn Oil, Post Office and Hannon’s Mace. Tickets can also be bought online for 2 years – €170, 1 year – €85 and 6 months – €45. The draw takes place every Monday night at alternating venues at approx 10:00 p.m.